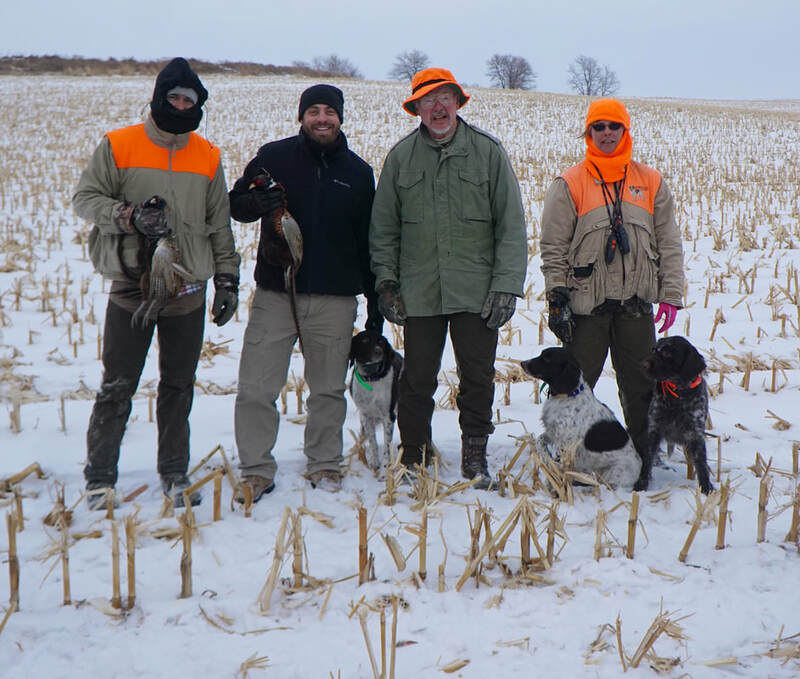 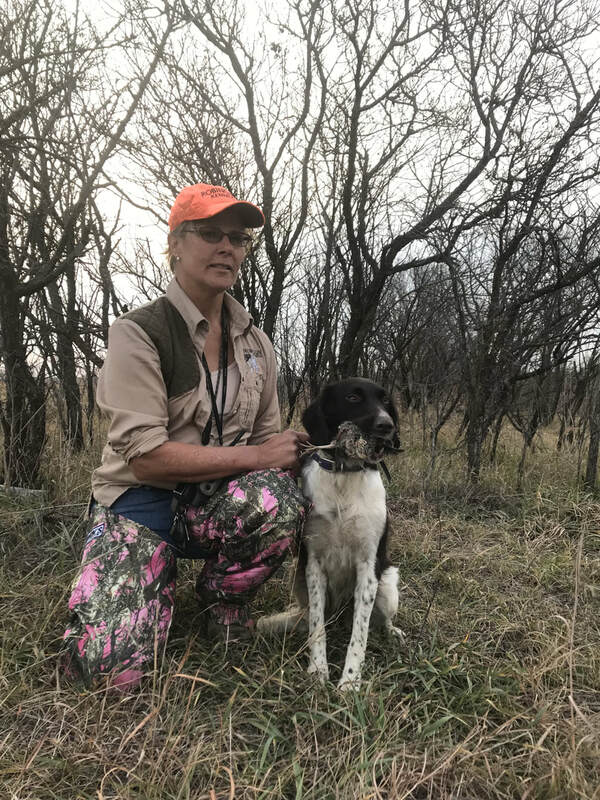 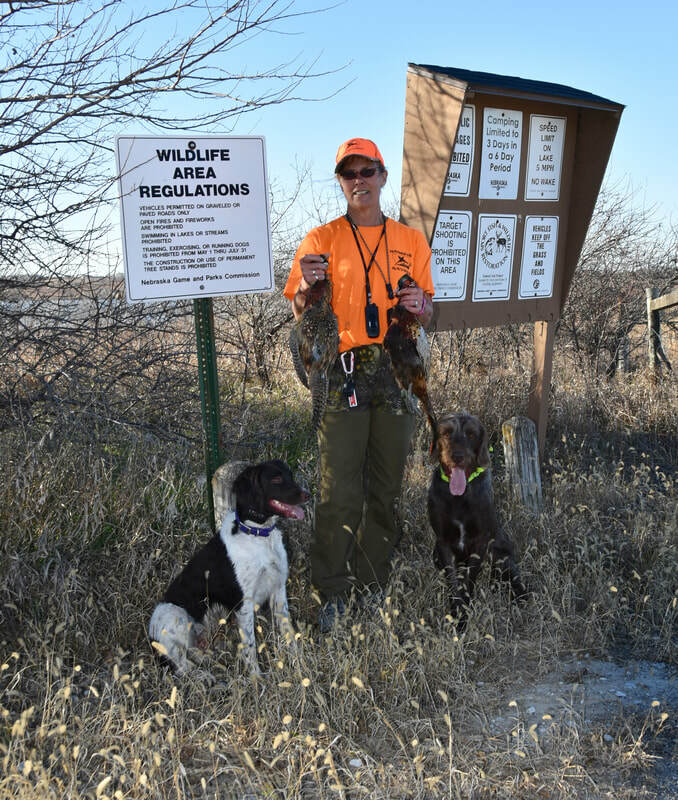 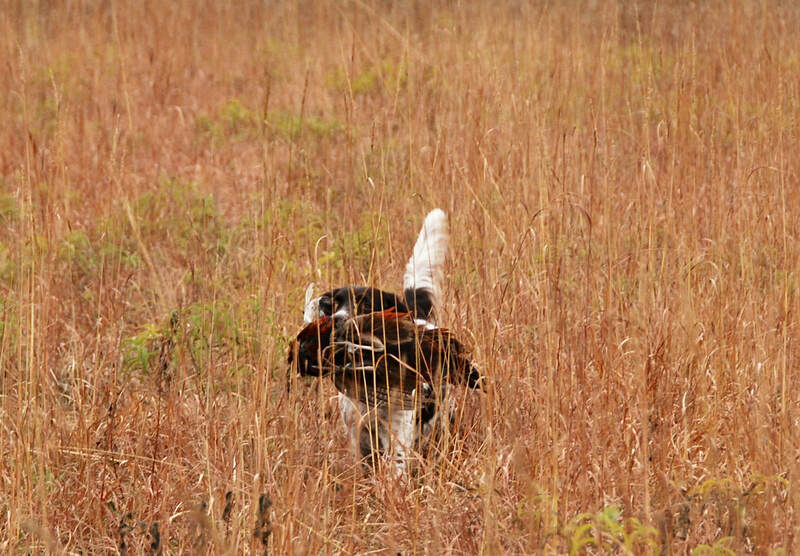 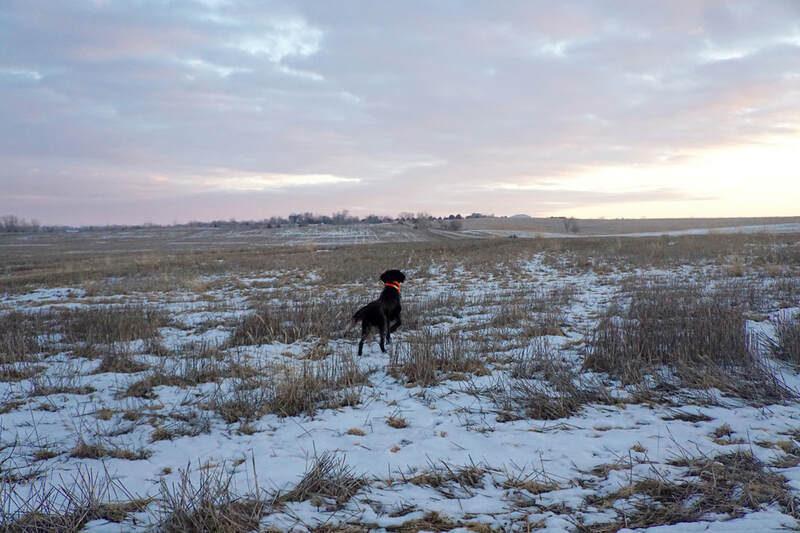 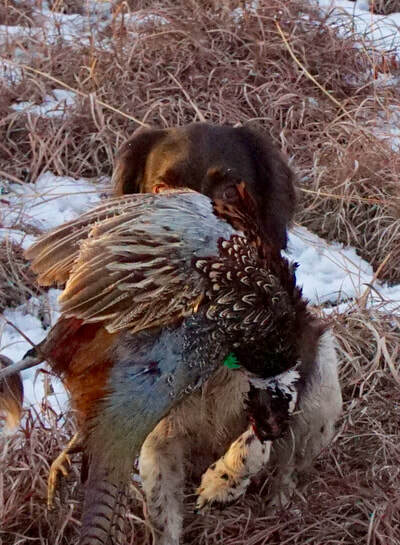 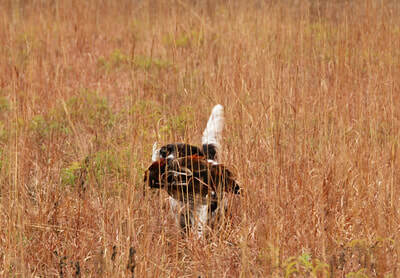 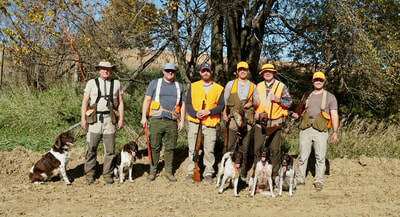 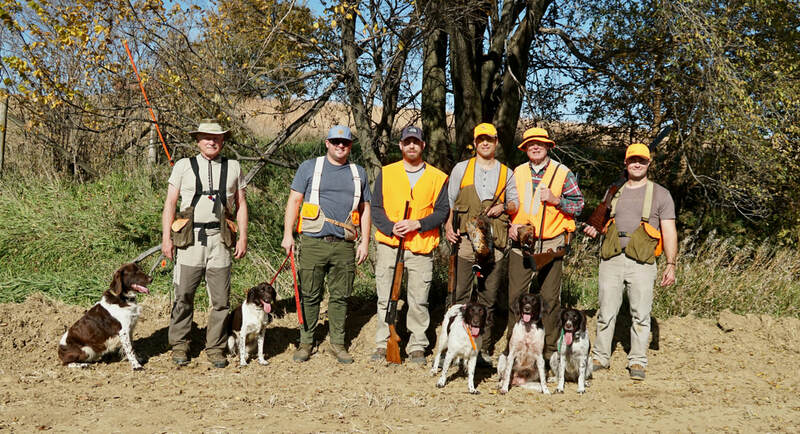 We are proud to say that we regularly hunt our dogs on wild game as well as we guide at local Hunt Clubs. This gives us a good understanding about the inherited hunting traits of the dogs we own and breed. 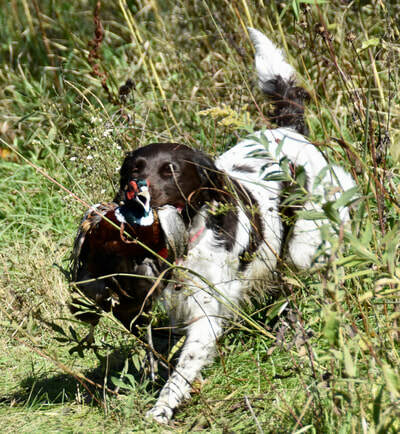 We encourage prospective buyers to come and watch our dogs in action any time as well as we train and hunt with our puppy buyers. 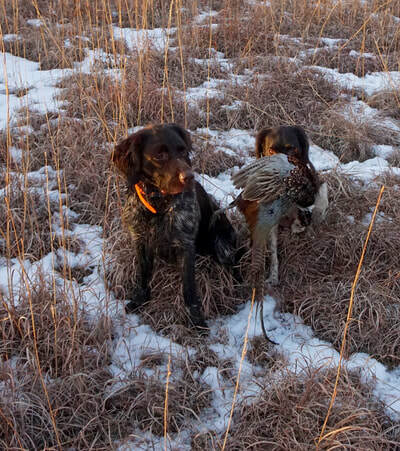 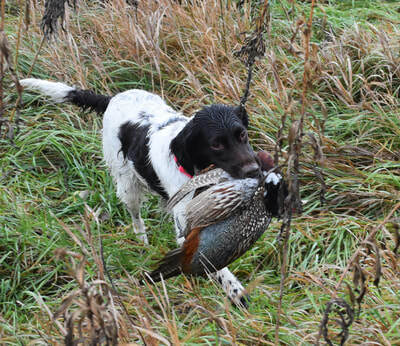 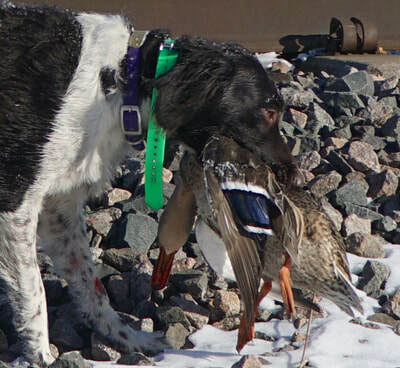 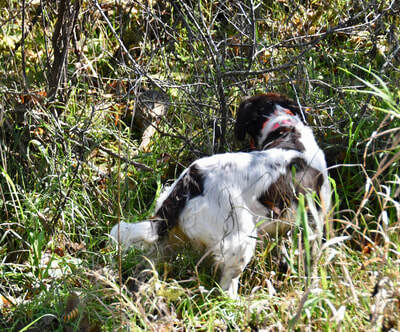 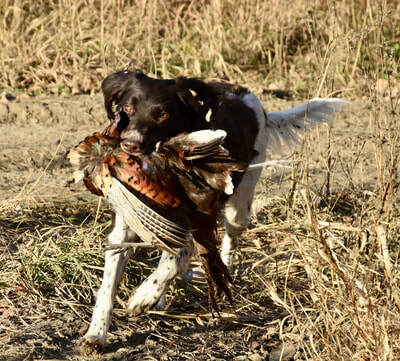 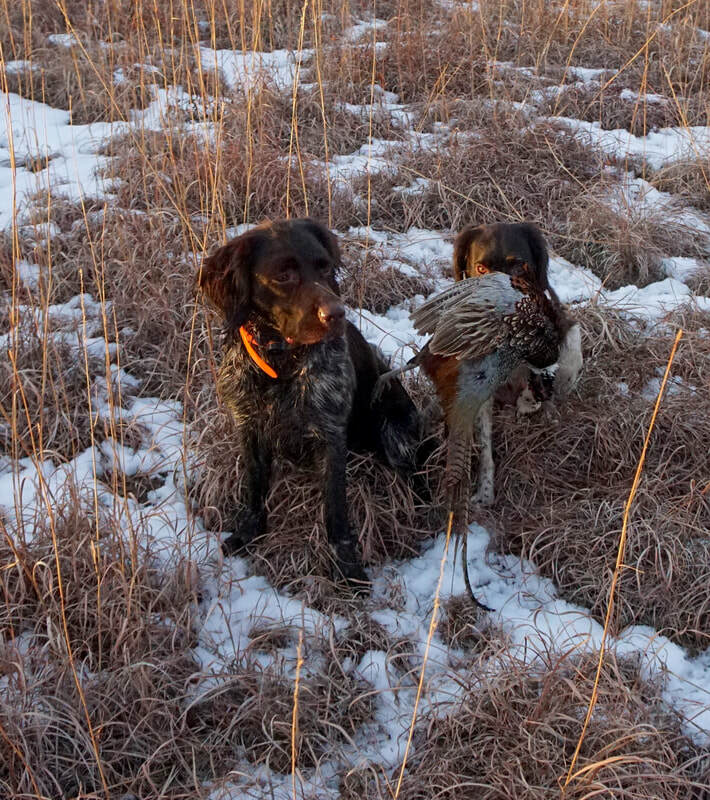 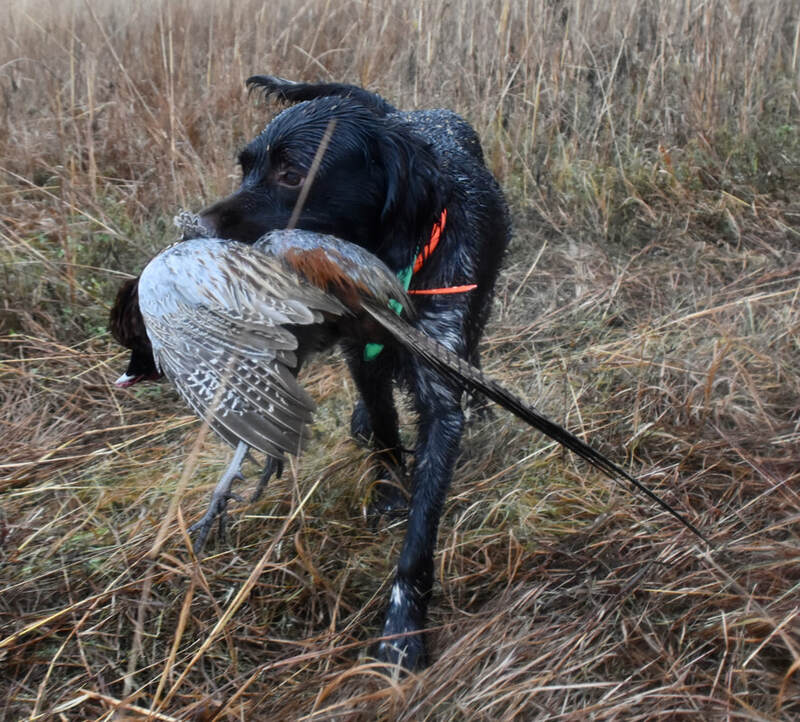 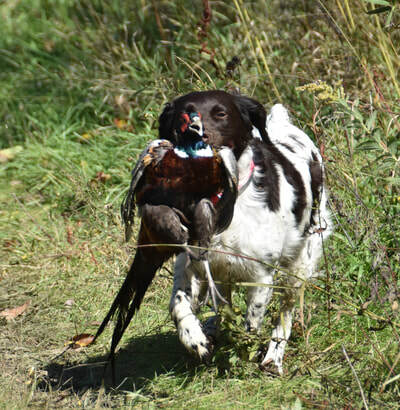 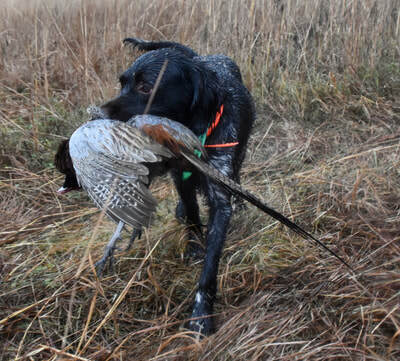 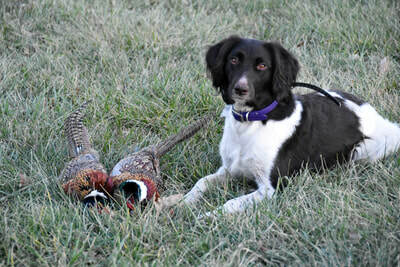 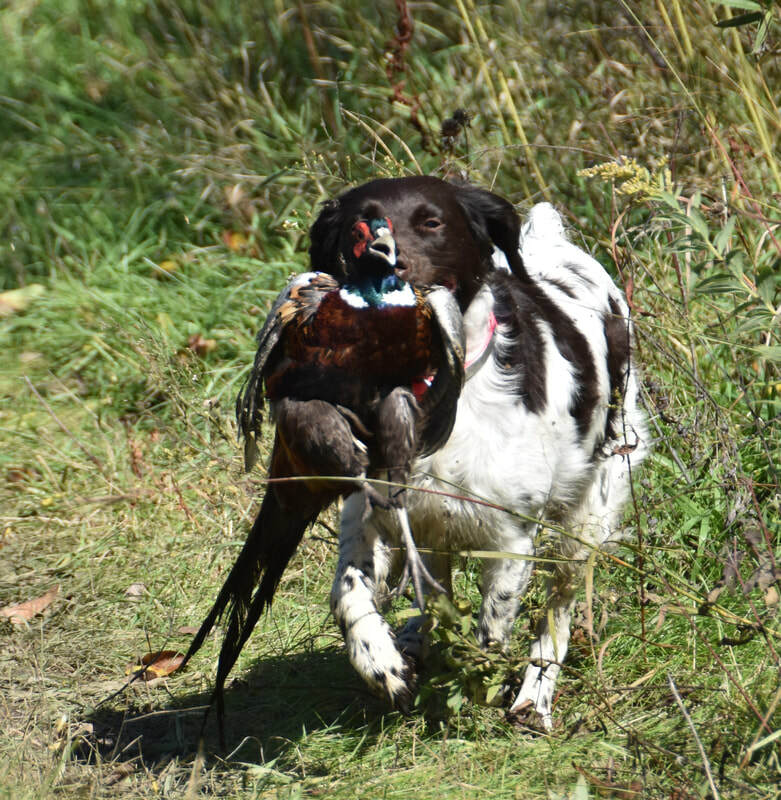 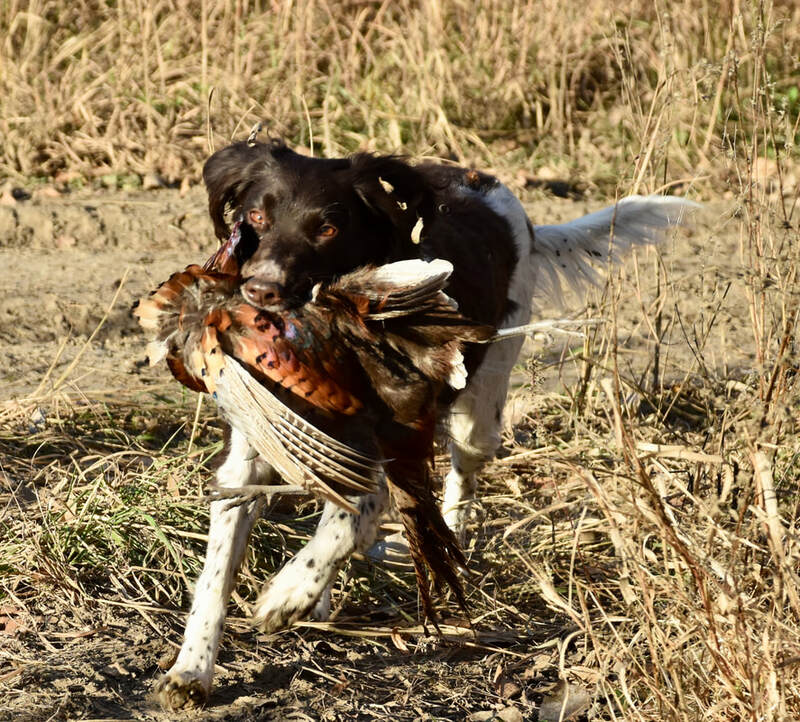 Nixie Rae pointed and retrieved over 25 birds at the Governor's hunt. 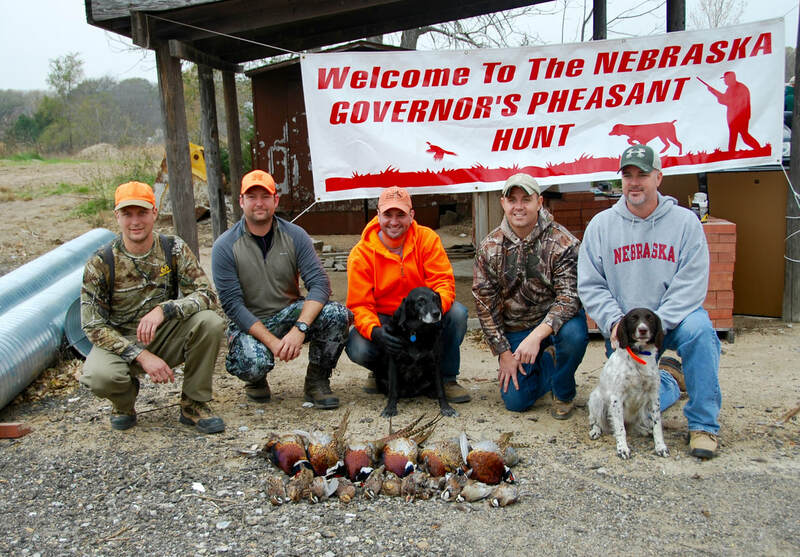 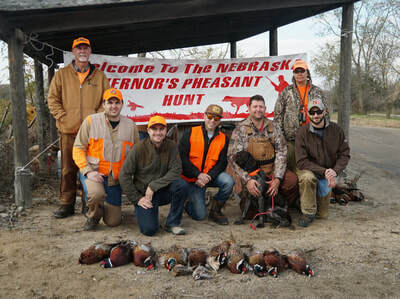 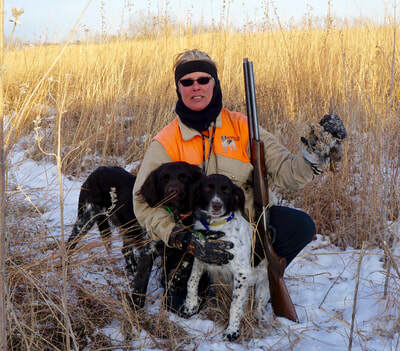 Nixie Rae, Etta, Branka and Pam joined the Pruitt family from Texas on their hunting trip to Bassett, NE. 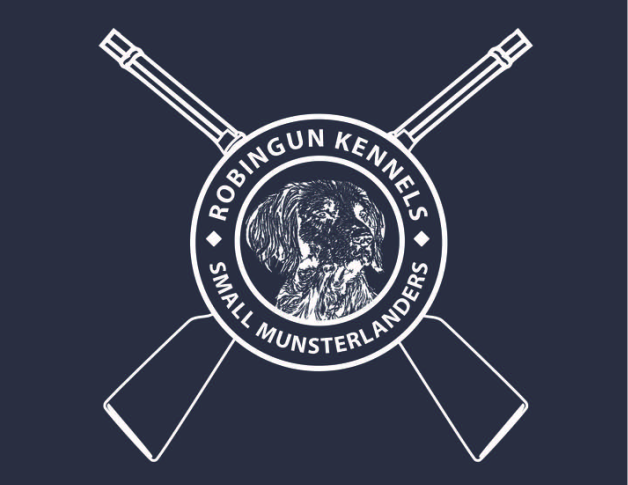 They own Robingun's Eagle Eye Captain Flint.